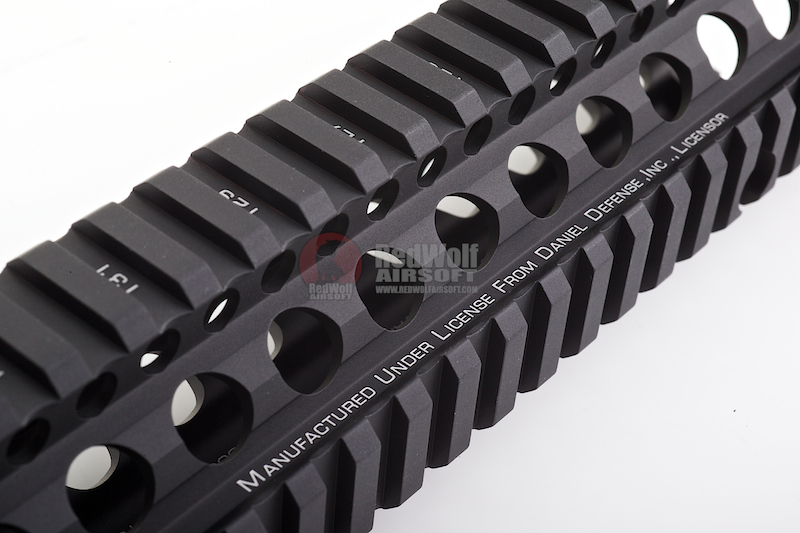 Designed and manufactured by Daniel Defense after a special request by the United States Special Operations Commands (SOCOM) for a free float system for mounting the M203 Grenade Launcher on the MK18 Carbine, the RIS II achieves all this and more. 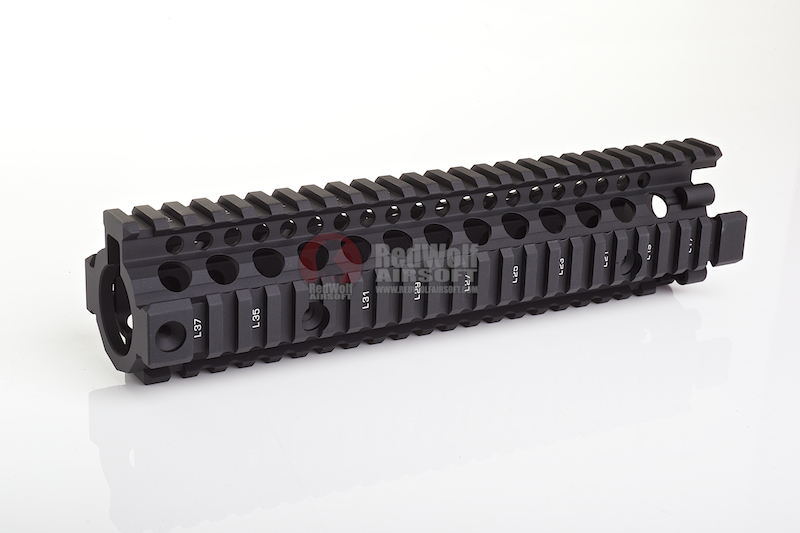 Madbull with official licensing from Daniel Defense themselves has very faithfully reproduced the RIS II for the world of Airsoft and very aptly named it the SOPMOD II-RIS II. 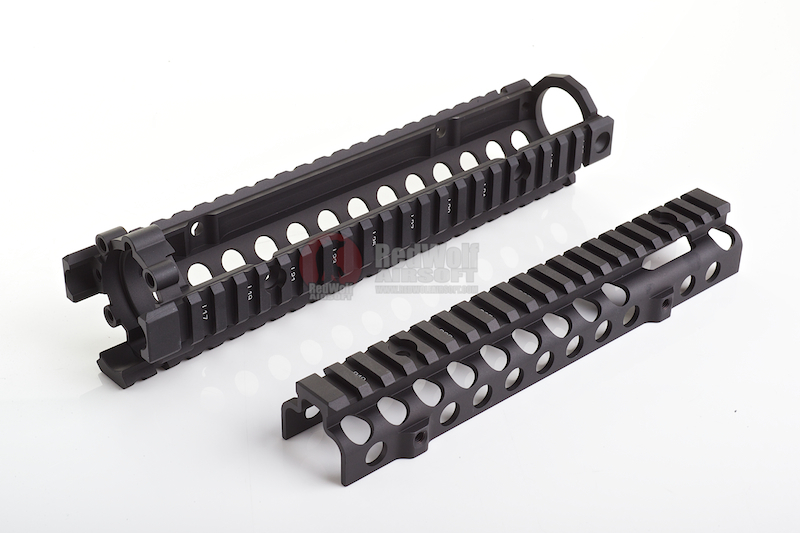 Just like its real steel counterpart the operator can effectively free float an M203 grenade launcher without the need for additional parts, and most importantly does not require special tools to mount the M203 grenade launcher. 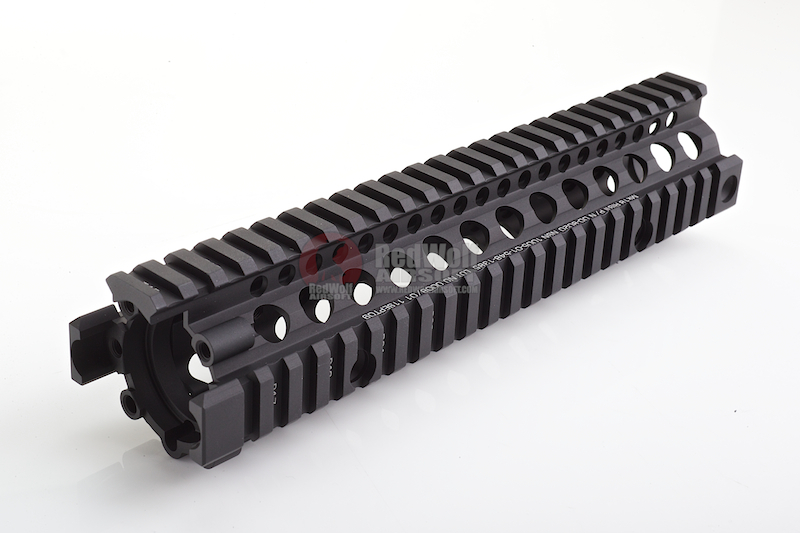 Just like on the real steel counterpart, this was accomplished by integrating all the parts needed to free float the M203 into the rail itself. 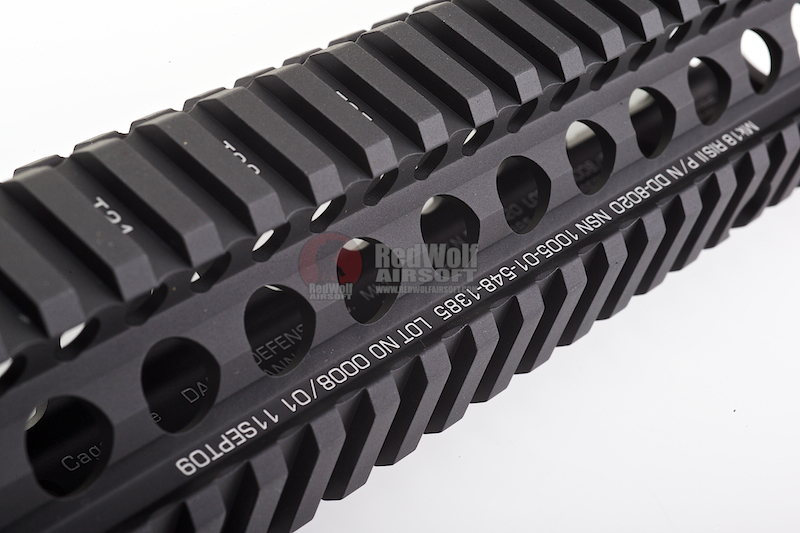 4x Lower Rail Attachment Screws. For in-depth installation instructions, please refer to the manual included. 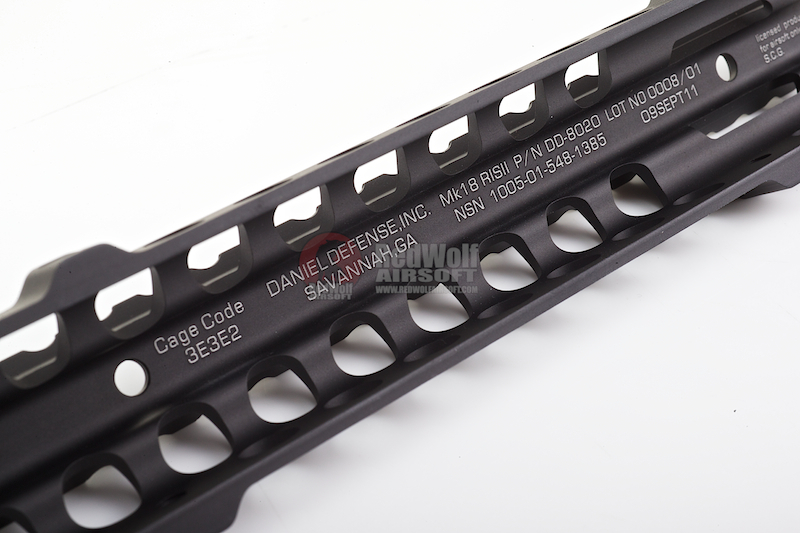 The Madbull Daniel Defense Omega Rails are constructed using Real Steel Specs and thus will only fit on the Systema PTW series AEGs, as well as Prime?s (WA) Western Arms M4 metal Bodies without the need for modification. 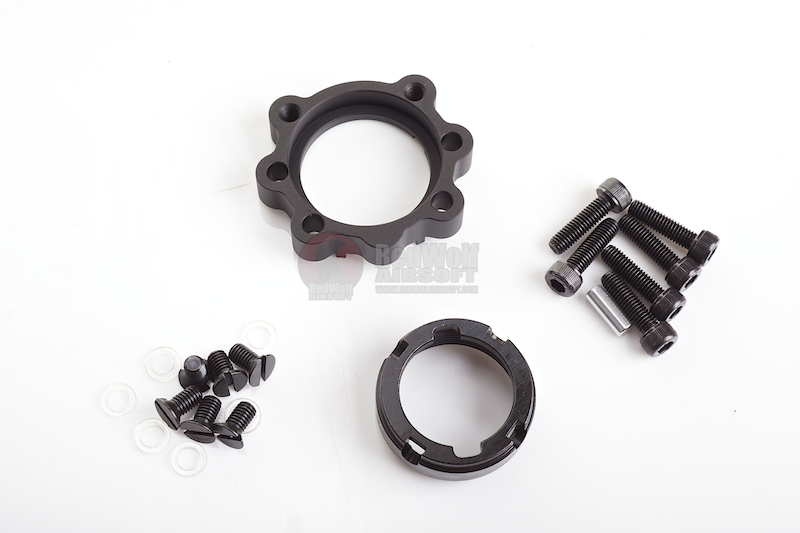 If you wish to install the Madbull Daniel Defense Rail you are required to purchase the Madbull Delta Ring Modification Kit to rethread your upper receivers threading.